I recently stumbled across this little tidbit and thought I would share it with everyone here. 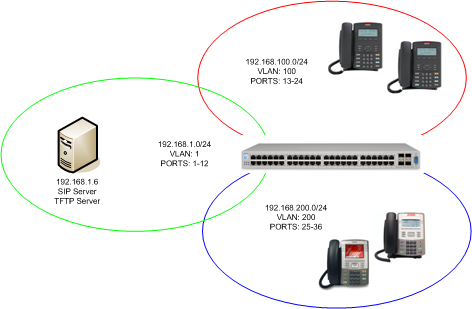 Up until recently if you wanted to change the default VLAN (the data VLAN for the IP phones) on a port that had ADAC enabled you had to first disable ADAC, change the VLAN assignment of the port and then re-enable ADAC. This was problematic for two major reasons; 1) disabling ADAC would remove the port from the voice VLAN and would interrupt the connectivity to the IP phone causing an outage, 2) if your network administrator forgot to disable ADAC before making the VLAN change the switch would eventually restore the port to it’s originally configured VLAN (usually on reboot of the switch) which would ultimately leave the end device in the wrong VLAN and unable to communicate. I blogged about the problem back in 2008 here and here and there were many of you that found out the hard way that neither Java Device Manager nor the CLI would warn you before making any VLAN changes on a port which had ADAC enabled. It’s now 2011 and while I definitely have more grey hair (I guess I should be happy I still have hair) it seems that Avaya has finally gotten around to resolving this issue. It seems Avaya also took the opportunity to eliminate two birds with one stone with the ability to now define multiple uplinks/downlinks in ADAC. In the past you could only define a single uplink which would be problematic if you intended to use the switch as a distribution switch to feed other switches downstream. There was no way to provision the voice VLAN on the downlinks because ADAC would remove any manually added ports from the voice VLAN. 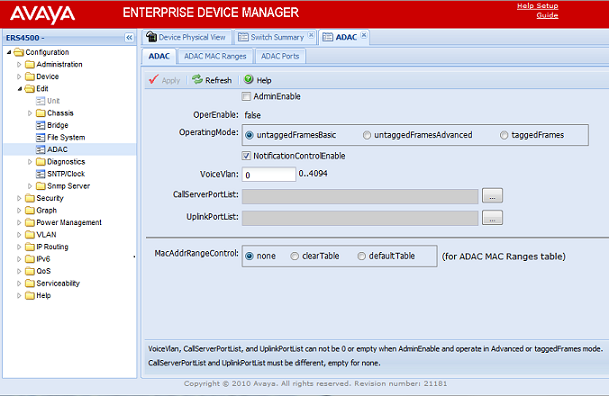 Here’s what the ADAC settings look like within Enterprise Device Manager. Here are the platforms that support the new feature and the minimum software releases you need to be at. I must admit upfront that I have not yet tested this new feature… although both changes highlighted above are very very welcome to me as a user. 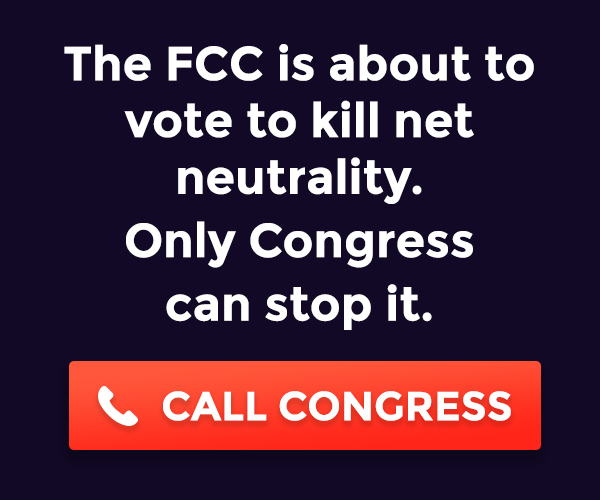 I can’t tell you how many issues we had with network administrators or engineers forgetting to check the status of ADAC and having all sorts of issues after a reboot (or more often an extended power failure – which led to a… yes reboot). Has anyone else had the opportunity to test this out?